A-HOTEL.com - Luxury and cheap accommodation in Staraya Samayevka, Russia. Prices and hotel, apartment booking in Staraya Samayevka and surrounding. Gostinitsa Yubileynaya is situated in Ruzayevka, 1.4 km from Ruzaevka Art Gallery. Boasting city views, Апартаменты The Davidoff is set in Ruzayevka, around 2.9 km from Ruzaevka Art Gallery. Located within 15 km of Ruzaevka Art Gallery, Said Hotel in Ruzayevka has a number of amenities including a garden and a terrace. Boasting a 24-hour front desk, this property also provides guests with a restaurant. Set 700 metres from Ruzaevka Art Gallery in Ruzayevka, Apart of Petrova offers accommodation with a kitchen. The accommodation is 1 km from the Ruzaevka Bus Station and features free WiFi. Set within 8 km of Mordovia Arena, Hotel Victoria at the sports school in Saransk has a number of amenities including a fitness centre, a shared lounge and a bar. The property is situated 2. Sportivnaya Hotel is situated in Saransk. The property is set 7 km from Mordovia Arena, 2 km from Saransk Bus Station and 3 km from Leninsky District Park. Located in Saransk, Sportivnaya Baza Lyzhno-biatlonnogo kompleksa offers a spa centre and sauna. Bed linen is offered. Offering free WiFi, Гостевой дом Ялга is located in Monastyrskaya. All rooms in the guest house are equipped with a kettle. 3-room apartment in Saransk is situated in Saransk, 6 km from Mordovia Arena and 1.8 km from Leninsky District Park, in an area where hiking can be enjoyed. Boasting barbecue facilities, Guest House on Lugovaya 24 is located in Saransk, 11 km from Mordovia Arena. Located around 10 km from Pushkin Park, the guest house is also 11 km away from Sobornaya Square. Complete with a shared lounge, Apartmens is located in Saransk, 8 km from Mordovia Arena and 3.6 km from Saransk Bus Station. Set in Saransk, 8 km from Mordovia Arena, Hotel Viktoriya has rooms with free WiFi access. Built in 2015, the property is within 2. Mini-Hotel Vastoma provides rooms in Saransk. Boasting a 24-hour front desk, this property also provides guests with a barbecue. 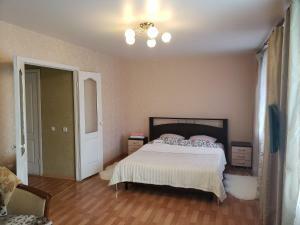 Offering a garden and a terrace, Apartament na Popova is set in Saransk, 6 km from Mordovia Arena. The accommodation is 3. Located in Saransk, Severny Zamok Hotel features free WiFi and free private parking. Each room offers a air conditioning and a flat-screen TV with satellite channels. Located in Saransk within 6 km of Mordovia Arena and 2.4 km of Saransk Bus Station, Гостиница НАДЕЖДА features rooms with free WiFi. Located 5 km from Mordovia Arena, 3.4 km from Leninsky District Park and 3. Set in Saransk, 3.7 km from Mordovia Arena and 1. Hotel Vizit is situated in Saransk, within 6 km of Mordovia Arena and 2.7 km of Saransk Bus Station. Located just a 15-minute walk from Mordovian Fine Arts Museum, Hotel Olympia features a sauna, indoor swimming pool and wellness centre. This property offers a steam bath, fitness centre and billiards.